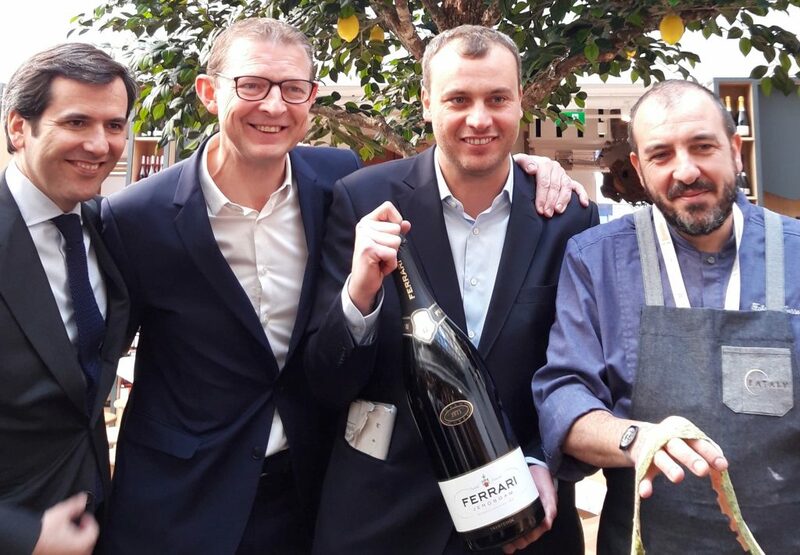 A Ferrari Trentodoc Jeroboam inaugurated the new Eataly in the centre of Paris. Together with the Houzé family, owner of Galeries Lafayette, the Executive Manager Andrea Guerra uncorked it. Ferrari is again the official bubble of all Eataly new stores in the world as symbol of the Italian lifestyle, in the cradle of Champagne too. After their first opening in Turin in 2007 and their boom in Italy through their numerous stores, Eataly have brought the same idea all over the world to represent the best of the Italian wine and food for years. Eataly stores are in the United States of America, in Brazil, Japan and Russia. They inaugurated all Eataly stores in the world with a Ferrari Trentodoc toast. Now is a dream come true – Eataly in Paris, in France, the country that has always given value to their wine and food products. Right there, in the heart of the lively district of Marais, Eataly will become the most stocked wine cellar of Italian wines in the Ville Lumière, with over 1,200 labels, including Ferrari Trentodoc wines, Tenute Lunelli still wines and Prosecco Superiore di Bisol1542 sparkling wine. More than 2,500 square metres with seven eateries, such as Osteria del Vino and Bar Torino, the big Italian market, the butcher shop, the bakery with wood-fired oven and the wine shop. Furthermore, Eataly School where adults and children can take part to a tasting and cook a recipe to experience the wholesome Italian traditions.